For people who abuse drugs or alcohol, there is often a point at which experimentation with polydrug use – or using more than one drug at a time – becomes part of the picture. One of the most popular substances to combine with other drugs is alcohol. It’s relatively easy to get, and it can easily enhance or otherwise affect the experience of the other substance. However, polydrug use can be even more dangerous than using single drugs – especially when it comes to combining other sedative type drugs with alcohol. 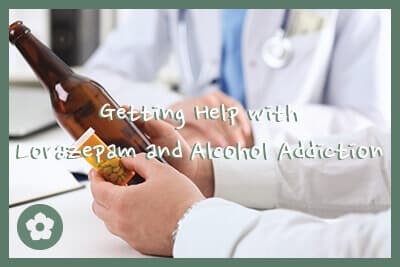 One example of this is combining a popular benzodiazepine – lorazepam, which is also known as Ativan – with alcohol. Whether used together inadvertently or for recreational purposes, the interaction of these two substances can be extremely dangerous. As with many other benzos and anti-anxiety medications, lorazepam can become addictive. Because of the ways it affects the brain, it can create a sense of euphoria for the person using it. Even if it’s not being abused for recreational purposes, misuse of a prescription can cause tolerance, dependence, and eventually addiction. Many of these effects are similar to those experienced when using lorazepam. In fact, it is for this reason, among others, that mixing Ativan and alcohol can be so dangerous. The effects of sedatives on the body include slowing of physical reflexes and responses, including vital ones like breathing and heart rate, and slowing of mental cognition. When multiple sedatives are combined, this amplifies the action of each, resulting in a further slowdown of physical and mental capabilities. 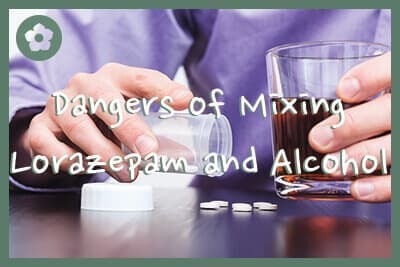 As described by an article from American Family Physician, this is where the danger comes in with mixing lorazepam and alcohol: It can much more quickly result in symptoms of overdose, and it is a common combination found in emergency room overdose cases. Any symptoms of overdose indicate that the individual needs immediate medical help. When high doses of lorazepam are combined with high doses of alcohol, the individual risks severe physical injury or even death. These risks can occur when using either lorazepam or alcohol alone at high doses for a long time. However, using Ativan and alcohol together increases the chances of developing these issues and of experiencing an extreme event, such as overdose, in the future. When a person is abusing both substances at the same time, it creates a higher risk of future problems, as described above and in a Treatment Improvement Protocol from the Substance Abuse and Mental Health Services Administration. This makes it highly important to get treatment for a substance use disorder involving multiple substances. Recognizing that a person is abusing Ativan and alcohol is only the first step. The next is to find a reliable, research-based treatment program that is experienced in dealing with polydrug abuse. As described in the Treatment Improvement Protocol, abuse of more than one drug can make it highly difficult to stop use of each individual substance. Treatment professionals who are trained, certified, and experienced in dealing with abuse of multiple substances can develop a personalized plan that can be more likely to result in a positive treatment outcome. Finding this type of facility can provide the best chance for the individual to get medically supported withdrawal, appropriate treatment, and ongoing aftercare for abuse of lorazepam and alcohol. With this type of treatment, the individual is more likely to achieve and maintain recovery for the foreseeable future.